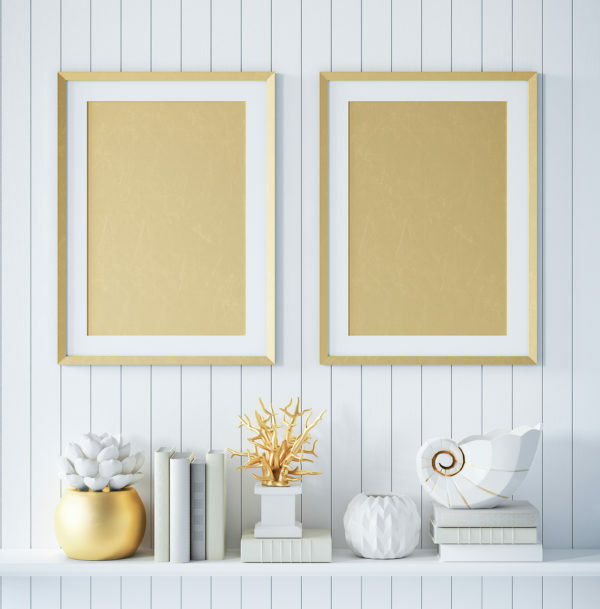 Adding just a touch of gold to your rooms adds glamour and sophistication. What could be more glamorous than a touch of gold? It’s a soft, warm and luxurious color that symbolizes good health, success and wealth. Use it wisely – and we mean in moderation – and it will add a rich and timeless touch. Because gold interior accents are like fine jewelry, a little goes a long way to have an impact on your interior. Gold is very popular right now in interior design – not just in metal objects like frames for paintings and mirrors, lamps and light fixtures, vases and candlesticks. Warm touches of gold add glamor to almost any room, including living rooms, dining rooms, bedrooms or bathrooms. A beautiful and functional nightstand can make your bedtime experience stress-free and sublime. Whatever you prefer to call them – nightstands, bedside tables or accent tables – that small piece of furniture that sits right next to where you lay your head to sleep can make or break the ease and enjoyment of your nighttime and early morning routine. First is the question of aesthetics. That’s usually an easy decision: you want your bedside table to complement the look of your bed and other furniture. Since nightstands are small, you can go bold without making a huge commitment. Think Asian painted scenes, clear Lucite, or recycled tropical wood. Or transform your existing night table by painting it a dramatic color or topping it with a beautiful piece of glass, marble or granite. You can spice up a neutral palette by using a beautiful variety of textures. Textures add impact and create interest to enliven a room. And they can keep your room from appearing boring and monochromatic. Textures are always a key interior element, even when you use lots of colors. When you go with a neutral color scheme, texture is even more important to avoid a sterile room with no focal point for sight and touch. Think texture both in the look of your interior décor and in the feel of the finishes. Most people think of texture only as it pertains to fabric choices, such as soft velvets, nubby linens, smooth silk and even rough burlap.